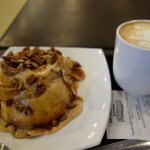 Description: Every “dessert” person should visit Cinnabon. It is located on 10 Northern Avenue which is the heart of the center of Yerevan. They offer a wide range of buns as well as Cinnabon sticks. 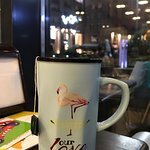 Besides great desserts they also have a range of drinks; their Chillatas is a “must try” of Armenia. 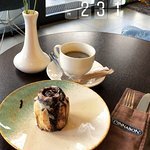 Furthermore, Cinnabon is great for just hanging out or even doing take away if you are in a rush (and cannot wait to visit other places of Yerevan). Their staff are friendly and accomodating. I highly recommend this place. Their first floor is a non-smoking area and perfect for tourist who are not smoking. 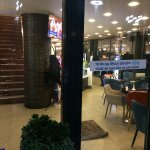 In yerevan almost all restaurants smells of cigarrete but this place does not considering that the food and children's play area is in the first floor. Thank you for your opinion, it is very important for us. The service was wonderful, the buns taste super delicious (the best so far), the place is nice, warm an cozy. One thing for the clients to mind,.do your order from the first floor, take.your number and they will bring your order. 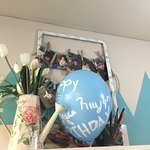 Dear, Happiness57724817401 we are very sorry that you didn't satisfied with our prices. We get our ingredients from abroad as we are branch of Cinnabon chain, and importation of these products encreases the cost of cinnabons. 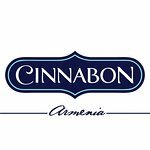 We shall be happy to see you again in Cinnabon Armenia. This is the favorite place of my son and my parents, to the extent we have celebrated his birthday at Cinnabon this year:) The staff is super helpful and professional babysitter, Anna, is just a gem! Children love her and different games/books/quests she suggests. While children are busy, you can enjoy your coffee and Cinnabon outdoors. Ground floor is completely non-smoking (good for kids)and there is a smoking area upstairs. 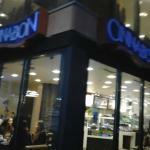 Cinnabon is very international cafe where you could see people speaking many languages. Must do to feel the vibes of the city. From the minute that i came in to a minute that i left I enjoyed every moment . Cashier girl who’s name was Sofi was really pleasant, ready to help, with a wide Smile . She even told me about Cinnabon history. 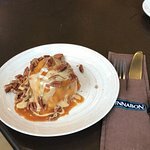 I tried pecanbon with caramel and nuts, try it you won’t regret. Guys you are doing a great job . Keep going . Thanks for the awesome review, Hasmik S ! We’re happy to hear we hit the mark for you. Come back and see us soon. 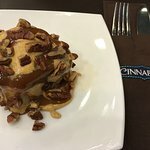 Been to Cinnabon Armenia? Share your experiences!